Ecorys Nederland BV was founded in 1929 as the Netherlands Economic Institute (NEI) and currently is part of the international group of companies – Ecorys group. At Ecorys we aim to deliver real benefit to society through the work we do. We offer research, consultancy and project management, specialising in economic, social and spatial development. Focusing on complex market, policy and management issues we provide our clients in the public, private and not-for-profit sectors worldwide with a unique perspective and high-value solutions. Ecorys’ remarkable history spans more than 85 years. Our expertise covers economy and competitiveness; regions, cities and real estate; energy and water; transport and mobility; social policy, education, health and governance. We value our independence, integrity and partnerships. Our staff comprises dedicated experts from academia and consultancy, who share best practices both within our company and with our partners internationally. Ecorys has an active CSR policy in the Netherlands and is ISO14001 certified (the international standard for environmental management systems). Our sustainability goals translate into our company policy and practical measures for people, planet and profit, such as using a 100% green electricity tariff, purchasing carbon offsets for all our flights, incentivising staff to use public transport and printing on FSC or PEFC certified paper. Our actions have reduced our carbon footprint by an estimated 80% since 2007. Alterra is part of the Wageningen University and Research Centre concern (Wageningen UR). The strength of Wageningen UR lies in its ability to join the forces of specialised research institutes with Wageningen University, as well as in the combined efforts of the various fields of natural and social sciences. Alterra is the research institute for our green living environment. Alterra offers a combination of practical and scientific research in a multitude of disciplines related to the green world around us and the sustainable use of our living environment Alterra engages in strategic and applied research to support design processes, policymaking and management at the local, national and international level. This includes not only innovative, interdisciplinary research on complex problems relating to rural areas, but also the production of readily applicable knowledge and expertise enabling rapid and adequate solutions to practical problems. Expertise includes the interactions between land and water management, land use and climate for the purpose of sustainable water management, taking account of various sectoral interests and ecological and habitat requirements. The team on sustainable land use, involved in this contract studies the influence of agricultural activities on the quality of soil, groundwater, surface water and the air, as well as the effects on agriculture, natural vegetation and aquatic ecosystems. It also assesses the influence of non-agricultural pollutants on the environment, studying the fate of nutrients (especially nitrate and phosphate) and the effects of manure policies. Research also concerns acidification, heavy metals and biological soil remediation in relation to active soil management. Furthermore, Alterra has expertise on the fate and effects of pesticides. Typical research approaches include model and scenario studies analysing the impacts of land use and land management on air, soil and water quality. Research is conducted on local, regional, national and global scales and contributes to sustainable use of water and soil resources and sustainable design and management of the environment. 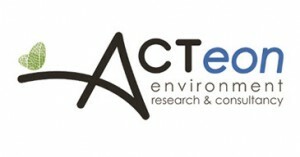 ACTeon (France) is a private research and consultancy bureau dedicated to innovative approaches to environmental policy. Specialized in the “soft” dimensions of the environment, i.e. (environmental) economics, sociology and governance issues, ACTeon is covering a wide range of policy issues, namely water, agriculture & the environment, forestry, marine resources, renewable energy, biodiversity. ACTeon is very active in the European scene where its economic expertise is widely recognized (in particular in the field of water). For example, it has provided support to economic assessments in the context of the implementation of the EU WFD in more than 15 EU Member States, in particular: France, Belgium, Scotland, Lithuania, Latvia, Bulgaria, Malta, Poland, the Czech Republic… In France, it provides support to the development of strategies and programmes of actions in different environmental fields at the local, regional and national scales. ACTeon regularly leads and contributes to multi-country assessment studies and economic studies (in particular for DG Environment, the European Environment Agency or individual Member States interested in comparing their practice with their neighbours). It also works in the Mediterranean region (both EU and non-EU countries). Finally, ACTeon is involved in several EU research programs in the field of environment in which it further develops and tests innovative economic methods and tools for strengthening economic assessments. In particular, it has developed strong expertise in the assessment of the economic value of ecosystem goods and services. KWR Watercycle Research Institute is owned by the shareholders of KWR Water Holding, that is, the Dutch water (cycle) companies. KWR provides services to ascertain a well-functioning water cycle through optimal water management. KWR is responsible for the execution of the joint research programme of the Dutch water sector (water supply companies and water cycle companies). KWR has approximately 170 employees that develop and unlock relevant knowledge for all operations in the water cycle both for national and international drinking water companies, water boards, governments and industry. With respect to the topic of this service request it is important to mention that KWR has many years’ experience with the technical, scientific and administrative aspects of the Drinking Water Directive 80/778/EEC and 98/83/EC. Within the service contracts one of the main issues was the assessment of the mandatory reporting of the Member States to the European Commission and the processing and synthesis of the compliance data on drinking water. KWR has contacts with the regulators in all 28 Member States as well as with knowledge institutes and the international water sector. Harmonising national policy and regulations with EU water policy. Strengthening and implementing the legal and regulatory framework. Helping to produce analyses and reports on whether SEE countries and neighbouring states are in compliance with the requirements of the Water Framework Directive (WFD) and other water-related directives. Strengthening water resources monitoring and assessments. Reinforcing the incorporation of integrated water resources management into other relevant sectoral policies. Preparing manuals, guidelines and protocols in line with the requirements of the WFD and other water-related directives. Reviewing procedural documents to confirm their harmonisation with the rules and regulations required by the new EU water policy. Analysing the role of water in a green economy, assessing the potential for job creation and economic growth following investments into water industry etc.